In 1997, Twin Vee moved from Miami to Ft. Pierce, a town with history in the marine industry. 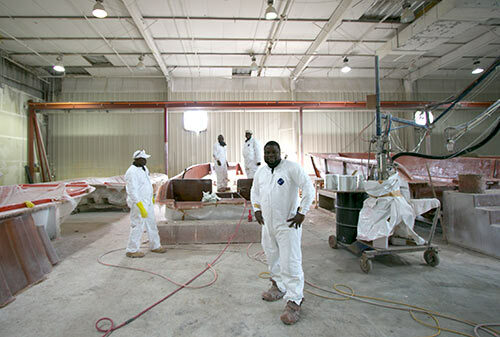 Twin Vee has continued to build boats in the area for 20 years. The Company was purchased in 2015 by Joseph Visconti and now trades under the symbol TVPC. Visconti became interested after a factory tour where the company’s employees and its history of innovation impressed him. As the new CEO, Visconti has invested in manufacturing technology that would augment the company’s traditional hand-built process. After two years, Twin Vee’s most popular models have been updated with many new standard features and the newly refurbished factory is set to deliver boats at a record pace. Visconti set about investing in manufacturing technology that would augment the company’s traditional hand-built process. After two years, Twin Vee’s most popular models have been updated with many new standard features and the newly refurbished factory is set to deliver boats at a record pace.